personally i liked the ending. it definitely wasnt positive and was more a case of the character surviving and from the look on her face you can tell shes going to end up in a psych hospital or something staring at a wall for the next 20 years after what happened. The game isn't bad and you can see the effort put into it. I mean it doesn't have the LEGENDARILY HILARIOUS AWFULNESS of is sequel, but it is definitely worth checking out. The sequel should be checked out as well for that reason. 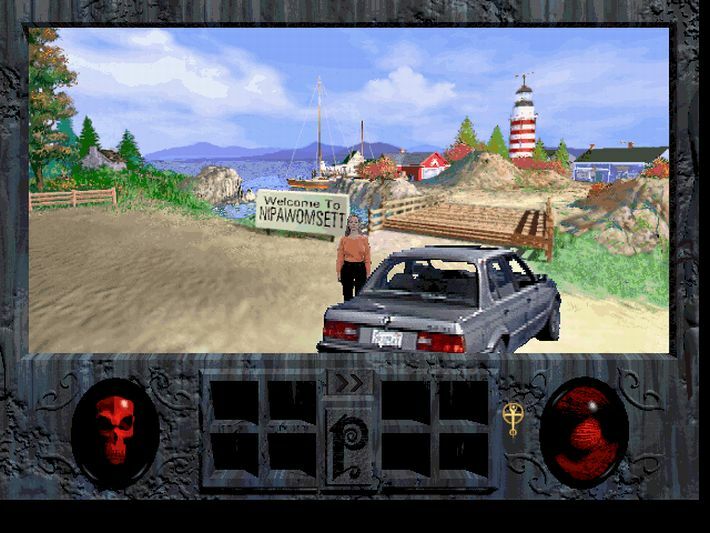 I also remember this game in the mid 90's. I also thought the game was super creepy back then as well. I redownloaded the game years back to actually finish it....stopped right at the end and never "got around to it". I may pick this up if they lowered the price down to maybe $1.99 or something. $9.99 just seems a little overpriced for an old adventure game like this. 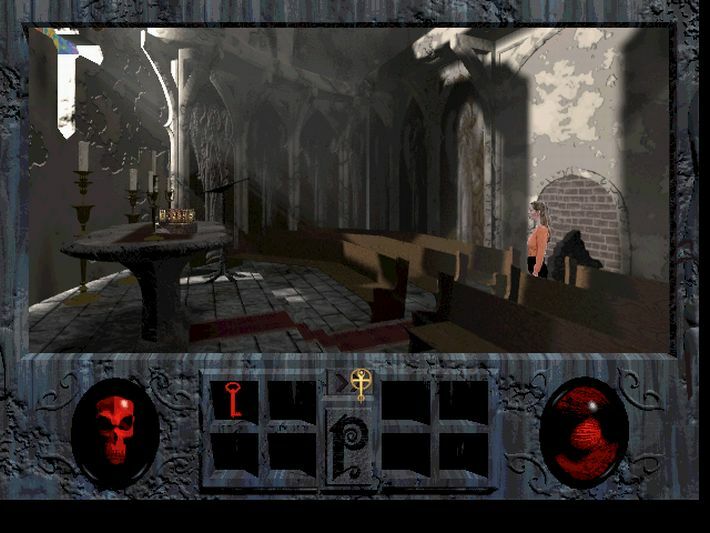 The Phantasmagoria pack and the Gabriel Knight trilogy are frequently bundled on sale for $7 during Winter, Summer and Halloween sales. 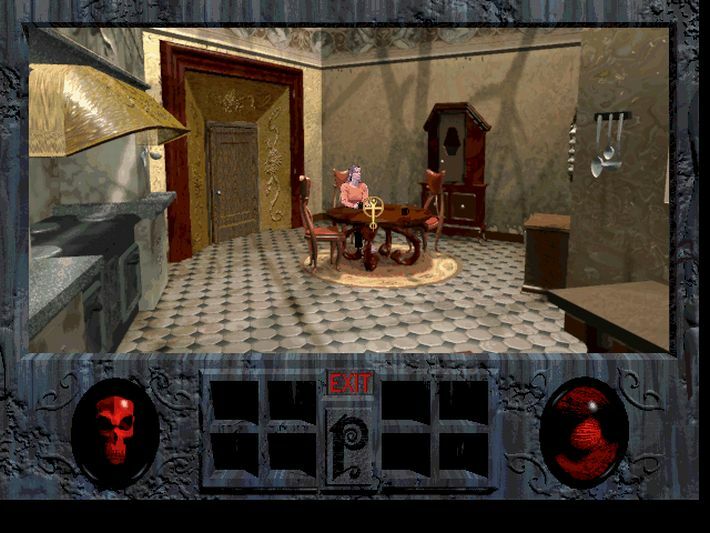 I was given The 7th Guest as a kid back in those FMV PC days. 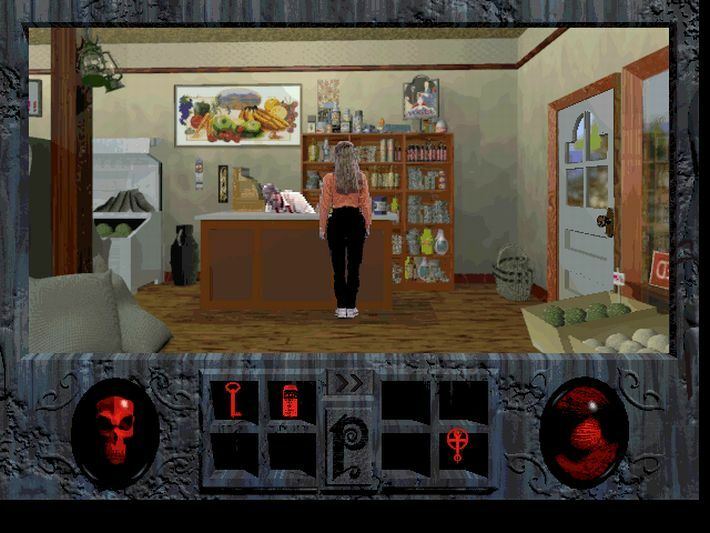 I played that game a bit but it always creeped me out so I couldn't finish it. 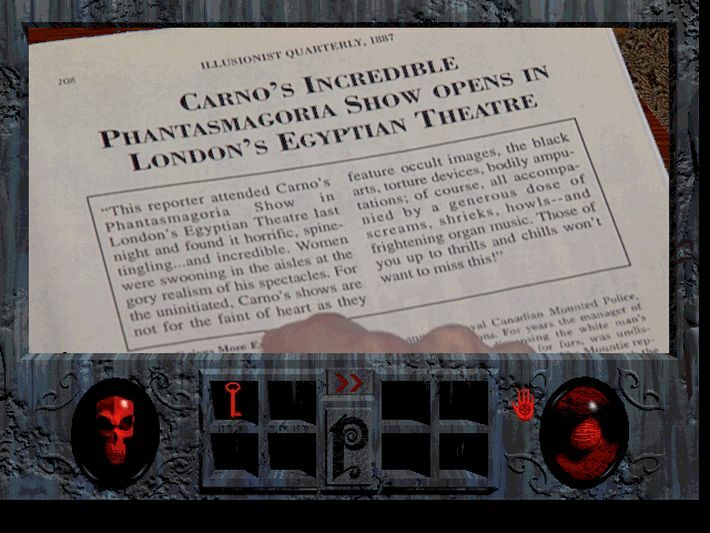 Afterward I ended up acquiring a copy of Phantasmagoria by way of a friend. I didn't think it was nearly as good a game as T7G was, nor as creepy. Even today I have a copy of T7G and it still holds up in its creepy aspect IMO. A friend of mine had this game when it first came out. I remember being jealous of him having a computer that could run it (we're talking "back in the yonder days" of PC power, of course). I've often felt an urge to seek it out over the years. I remember my friend running through the finale for me so I know about the "bummer ending". I understand why folks feel that way but for me--at least back then--it worked. I might look it up as I never had a chance to play it myself and the nostalgia factor leaves me inclined towards being forgiving of its faults. MAN!! 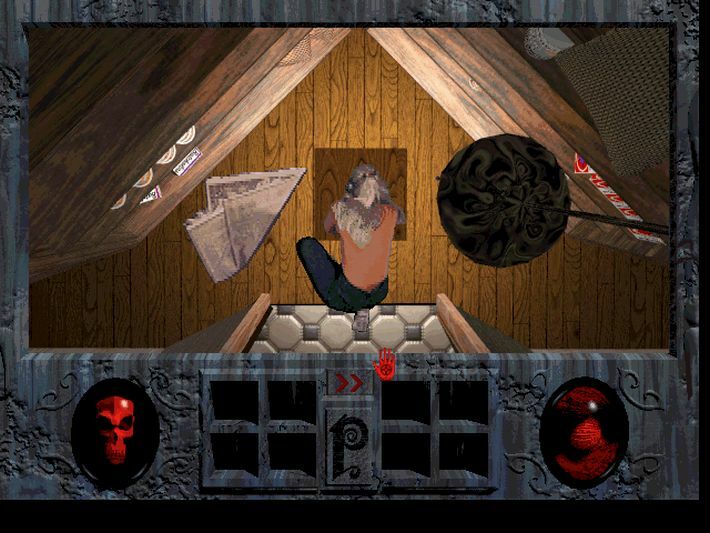 This was one of those few games that freaked me the hell out when I was younger. I remember this game, I played through it when I was 14. It came free with something, a CD-ROM drive I think (back then they were very expensive and came with a bunch of software). I personally don't have many positive memories. The story is full of cliches, the acting is SOOOOOOO BAD, the "game" element essentially does not exist. By the time I got to the end I was rooting for the demon, I was so disappointed when it didn't win. I think every other game Roberta Williams made was better, I remember Kings Quest IV fondly. 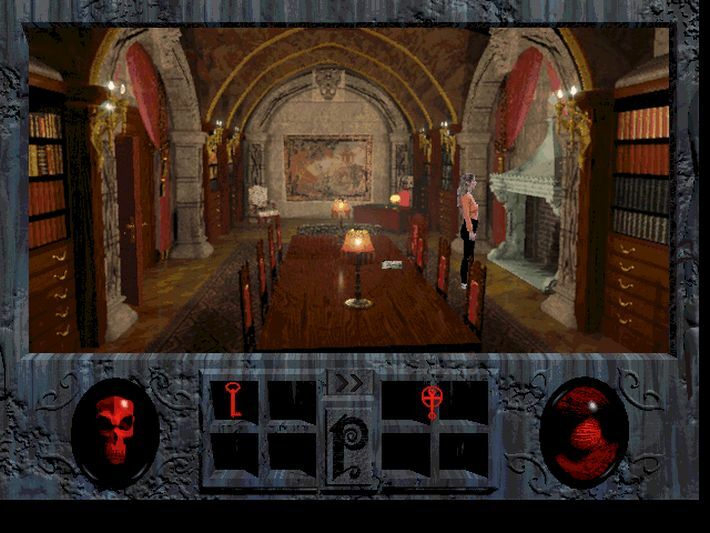 It's games like this that killed the adventure game genre, a game in name only Phantasmagoria should be judged as a movie more than anything else. 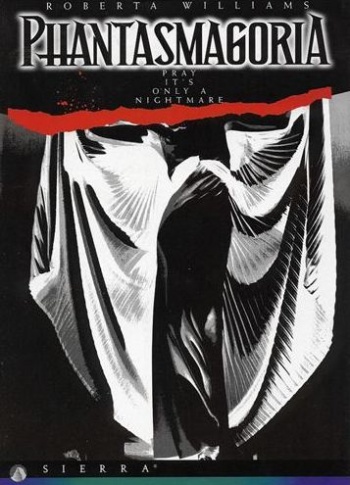 Poorly acted, badly written, overlong, boring and in no way scary. Seriously, this did not scare 14 year old me even slightly. I mean, I even read the title of this review in Spoony's voice. "And for those of you following along at home, my favorite word is ~PHANTASMAGORIA~!" I know it's the wrong game and Spoony actually did the sequel, but damnit, but I still laughed. 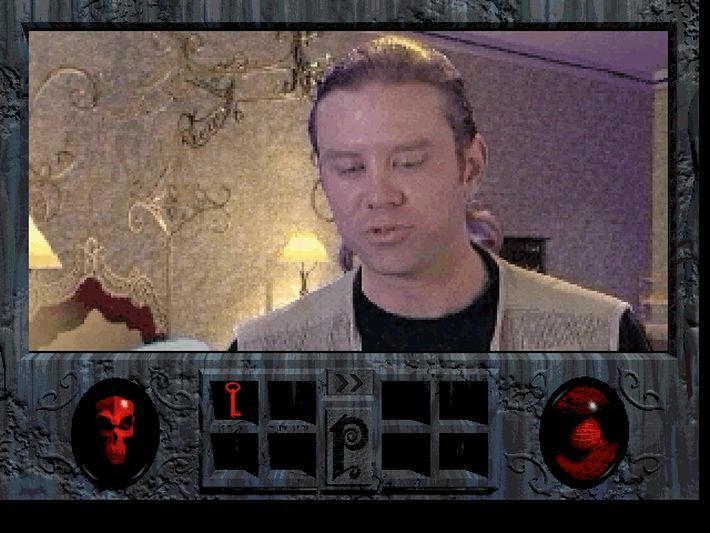 Do the sequel, Phantasmagoria 2: A puzzle Of Flesh! People should check out Giant Bomb's playthrough of this game. One of the funniest LPs I've seen. Only problem though is that it's behind a subscription paywall. 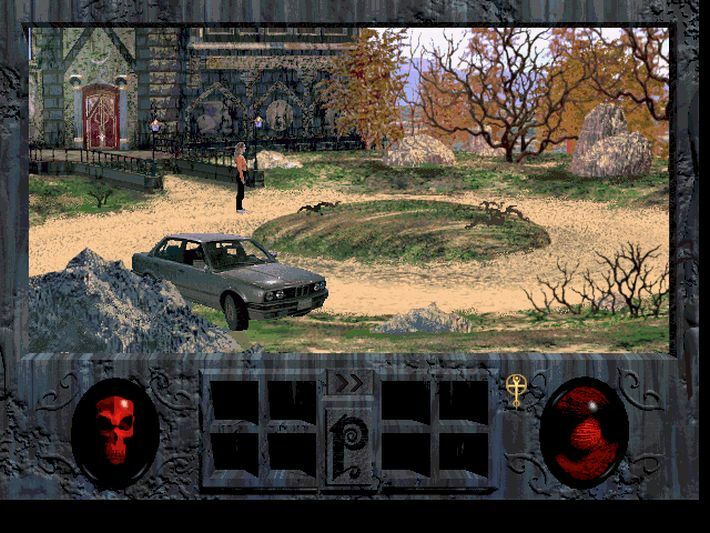 As far as the game itself goes - the problem I have with point-and-clicks is that once I've watched the LP, I don't see the point of playing the game. I've experienced the best portions of the game without having to go through the terrible gameplay. Sheesh.....I still have the small book of CDs that this game came on. I got it brand new back in the day. I used to play it with a fiend of mine. I seem to recall it taking us quite a while to figure it all out. We were blown away by this game. I have no doubts that it hasn't aged well and swapping out the 10 or so discs would get super annoying. Still, I'll always have the memories of the messed up dream I had the same night of beating the game. Ahhh.......so messed up.